Steve’s breakdown: Gymboree is the company and their looking at a new life with fresh eyes. Jump Now! SAN FRANCISCO, CA: Gymboree has emerged from bankruptcy with a reduced footprint — and with new owners. 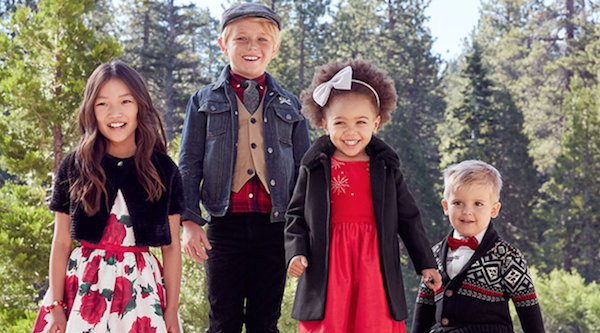 The children’s apparel retailer announced Friday that it has successfully completed its financial restructuring and emerged from Chapter 11 as a new corporation under the name Gymboree Group. The company exited bankruptcy with a reorganization plan that includes a comprehensive recapitalization that will eliminate more than $900 billion in debt and a reduced store footprint. “Today marks a new beginning for Gymboree Group as we emerge as a stronger and more agile competitor in the children’s apparel market,” said Daniel Griesemer, president and CEO of Gymboree Group. “With the support of our new equity owners, this process has allowed us to secure the company’s long-term financial health, and we are excited about the opportunities ahead as we turn our full focus toward executing our strategic product, brand and omnichannel initiatives. The company has received an $85 million new term loan from Goldman Sachs and access to a $200 million revolving credit facility from Bank of America Merrill Lynch and Citizens. Gymboree Group’s pre-petition term loan lenders – including Searchlight, Apollo Global Management, Oppenheimerfunds, Brigade Capital Management, LP, Marblegate, Nomura Securities International and Tricadia Capital Management, LLC – are the company’s new owners.